The s60 (formerly series 60) is currently amongst the world's leading smartphone platforms that uses Symbian OS. The s60 3rd version pushed the platform to the next level. 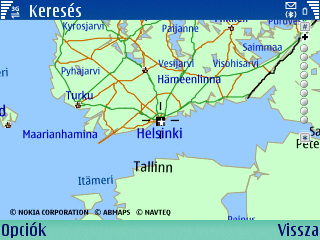 Nokia calls the s60 3rd gadgets multimedia computers instead of smartphones. Unfortunately that software written for s60 1st (s60v1) or 2nd (s60v2) edition is not compatible with s60 3rd (s60v3) edition. That is why I opened a new section for s60 3rd applications. A Nokia s60 platformja az egyik, ha nem a legjobban elterjedt Symbian operációs rendszerre épülő okostelefon platform, mely az s60 3rd verzió megjelenésével újabb mérföldkőhöz érkezett. Az s60 3rd készülékeket a Nokia már nem is okostelefonként, hanem multimédia-számítógépként aposztrofálja. Sajnos azonban az s60 3rd az alkalmazások újrafordítását igényli, így indokoltnak tartom külön rovatban foglalkozni a rá írt alkalmazásokkal. 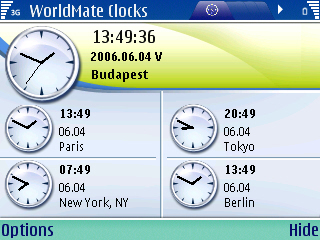 Szokásához híven a Nokia néhány alkalmazást (WorldMate, Zip Manager) előre telepít a telefonjaira, illetve azokat elérhetővé teszi a honlapján is. Azonban nem minden telefonhoz ajánlja fel az összes szoftvert, ennek ellenére a legtöbb program telepíthető szinte bármelyik kompatibilis telefonra. 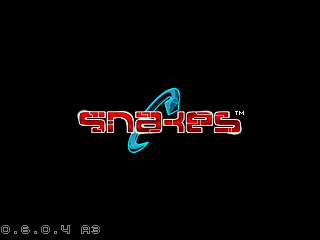 The Nokia refreshed the good old Snakes for s60 3rd now in 3D. 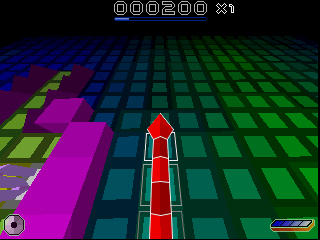 You can find the game on the Nokia 3250 support page. 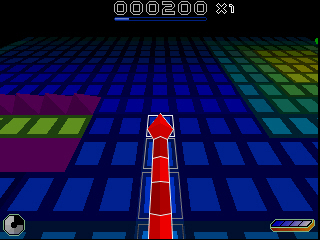 The Nokia Nseries phones have a very useful built-in image editor. Now you can install it on your Eseries phone too. The application has no icon, it makes only a new 'Edit' option in the menu of the Gallery. 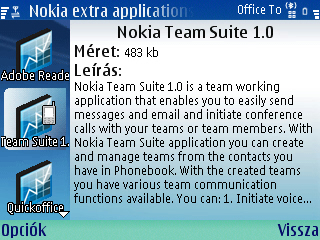 You can find the application on the Nokia 3250 support page. 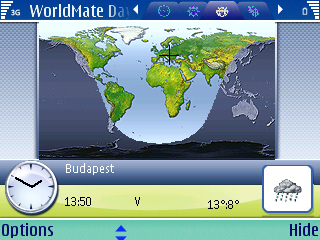 Access critical travel information directly from your Nokia phone with WorldMate. 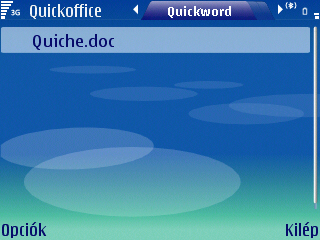 View attachments you have received in email using the Quickoffice viewers. 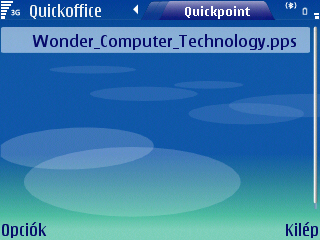 Quickpoint, Quickword & Quicksheet enable you to view Microsoft PowerPoint, Word, and Excel documents. The applications support presentations, documents and spreadsheets created in Microsoft Powerpoint, Word and Excel 97, 2000, and XP file formats (.ppt .doc .xls). A Nokia N80 support oldalán találtam meg a QuickOffice legújabb verzióját, bár mivel a Nokia s60 platformjának elméletileg integrált része a QuickOffice, így jó eséllyel előre-telepítve megtalálhatjuk a telefonunkon a Dokumentum (Docum. 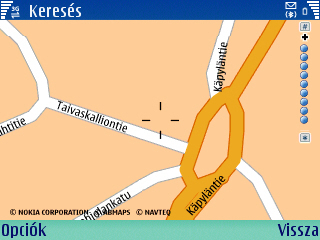 ), Táblázatkezelő (Sheet) és Prezentáció (Presentat.) alkalmazásokat. Ez a verzió egyetlen alkalmazás-ikon alatt tartalmazza a Word, Excel és PowerPoint fájlok megtekintéséhez szükséges program-felületeket, azonban nem rendelkezik szerkesztő funkciókkal!!! ZIP Manager allows you to handle zip files in a convenient way. Give your fingers room to move! 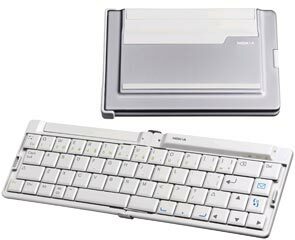 Typing email and notes just got a whole lot easier with the portable Nokia (or any other type of) Wireless Keyboard. 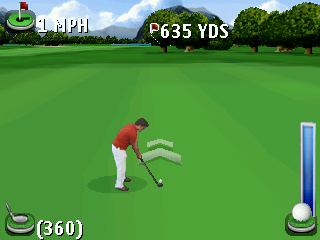 Golf PRO Contest has 3-D graphics and a realistic feel. You play through 1, 9, or 18 holes, by yourself or against as many as three friends. Success depends on careful selection of the right club, compensation for the wind, and avoidance of sand traps, trees, and water obstacles. 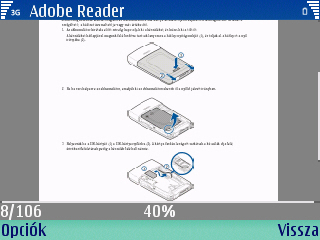 With this application you can read PDF documents on the display of your s60 3rd phone. 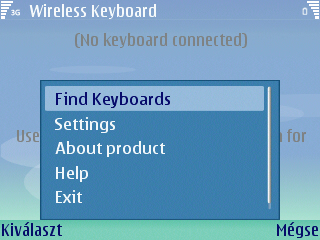 WLAN Wizard shows the available WLANs in the range of N80 Internet Edition directly on the idle screen and it is possible to start web browsing immediately. 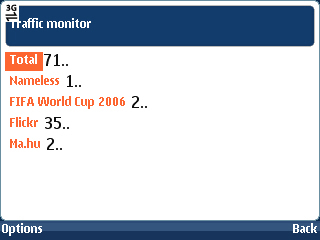 WLAN Wizard also automatically creates the needed WLAN settings making WLAN usage extremely easy. WLAN kereső program a Nokia N80 Internet Edition telefonjához. Természetesen más s60 3rd telefonon is működik! Team Suite, is a new group collaboration software that is very useful. Team Suite helps organize and facilitate conference calls, initiate push-to-talk sessions with selected team members through a built-in speakerphone. 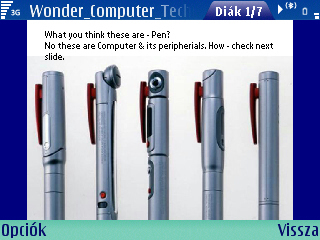 You can download it from the Nokia Catalog from your phone. A Nokia Team Suite segítségével konferenciahívásokat szervezhetsz, csoportos sms-eket mms-esket és email-eket, Push-to-Talk üzeneteket küldhetsz előre konfigurálható csoportoknak. A programot a Nokia Katalógusból is letöltheted. A Nokia számos szoftvert készített azért, hogy megkönnyítse életünket, és persze, hogy növelje az általa gyártott okostelefonok vásárlóinak a számát. Ezek a programok sokszor valóban meg tudják növelni a telefonunk értékét, de legalábbis bővíti azok szolgáltatásait. Ide kerültek azok az alkalmazások is, amiket nem a Nokia fejlesztett, de támogatta a készítőket. Lifeblog is a digital photo album tool designed with mobile phone photographers and bloggers in mind. Lifeblog phone and PC software automatically organizes your digital media between your mobile phone and PC so you can view, search, edit, and share your images and messages. A Nokia Lifeblog szerintem mindenki előtt ismert, akinek volt már korábban is kamerás okos-telefonja, innen letöltheted a legújabb verziót. Az E sorozat készülékein nem fut!!! Search, Find, Connect - the mobile search software for Nokia mobile phones is a simple, convenient, and fast way to find and connect to local services, websites, images, and mobile content - all from the palm of your hand. 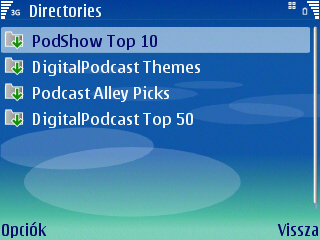 The Nokia Podcasting application allows you to find, subscribe to and download podcasts over the air with your s60 smartphone. After downloading a podcast, you can listen to or watch it whenever you want. 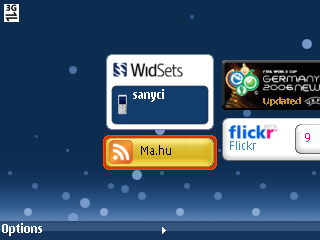 WidSets allows to use MacOSX-like self configurable widgets for your Java enabled phone. 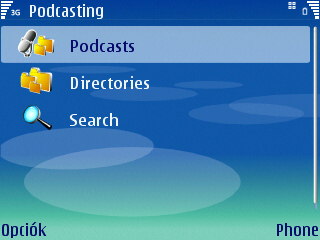 The S60 Internet Radio reference application is a fully working example of an audio application developed for the S60 platform. The application supports SHOUTcast streaming audio playback. Currently, MP3 and AAC+ streams are supported. The application also supports local playback of audio files in the following formats: MP3, AAC, eAAC+, MP4, M4A, WMA, 3GPP, AMR, and WAV. Note that some formats may not be supported on some S60 products. It depends on the codecs that are available on specific phone models. It's a real 'must have' application for our smartphone. 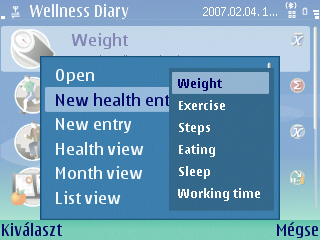 It can search in any type of data (contacts, calendar, email, etc.) on the mobile. 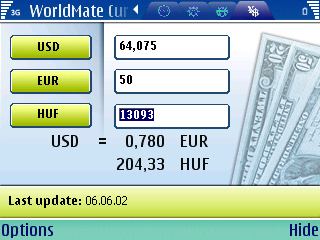 Thanks for e61life.com! Everything you need for your business phone. No other bookmarks needed! With BlackBerry Connect, you can access your email accounts with your Nokia device. As emails arrive at the email server, they are automatically forwarded to your Nokia device, where you can forward and reply to them. 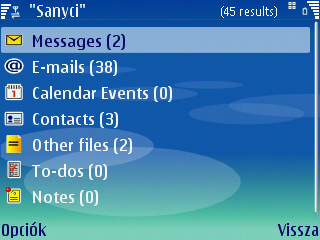 You can also compose and send new emails. Meetings on the Nokia device's calendar are also synchronized with the meetings in your account on the server. With Mail for Exchange, you can use the email, calendar, and contacts (address book) of your Microsoft Exchange account on your mobile phone. Keeping the entries on your mobile phone updated with the entries on your Microsoft Exchange account is possible through the process of synchronization. 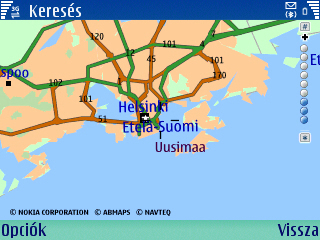 The Nokia Research Center (NRC) is a separate unit within Nokia, not attached to anyone of the specific product development business units. There are more than 1100 of them, researchers, engineers and scientists, working in the Nokia Research Centers and Lablets that Nokia maintains around the globe. They have a variety of personal and technical backgrounds, but they are all working on research issues relating to mobility of voice and data, management and communications. A Nokia Research Center számos szoftvert készít azért, hogy megkönnyítse életünket, és persze, hogy növelje a Nokia által gyártott okostelefonok vásárlóinak a számát. Ezek a programok sokszor valóban meg tudják növelni a telefonunk értékét, de legalábbis bővíti azok szolgáltatásait. Ide azok az alkalmazások kerültek, amiket a Nokia Kutató Központja fejlesztett. 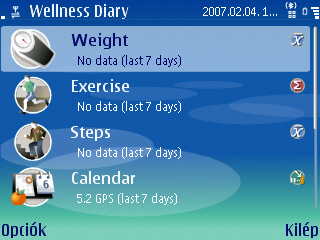 Wellness Diary is an S60 application for storing and analyzing wellness-related data collected from everyday life.